How much will we spend on Valentine's Day this year? Billions, according to WalletHub. Love is in the air as Valentine's Day quickly approaches this week. Lovers across the country are looking to Google for a little guidance on the holiday. 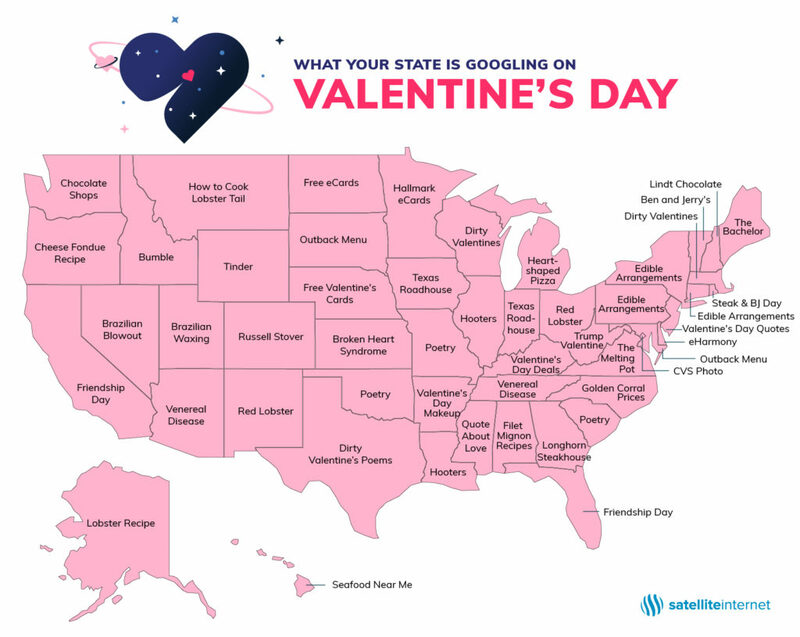 Satellite Internet made a map of all of the top Valentine's related searches in each state. Some of the top searches are sweet like Mississippi searching for "quote about love" or Vermont looking for "Ben and Jerry's." Some are concerning like Arizona and Tennessee searching "venereal disease." Other states just seem lonely with California and Florida searching for "Friendship Day" and Idaho and Wyoming looking up dating apps. Texas is maybe a mix of all these categories with the top search being "Dirty Valentine's Poems."